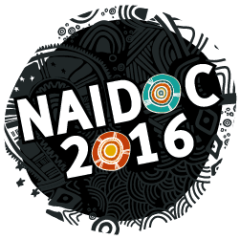 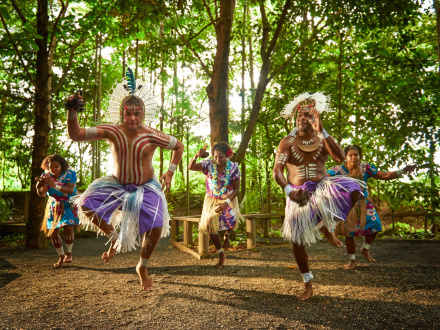 See Indigenous performers bring the world’s oldest living culture to life through traditional dance, art and interactive demonstrations. 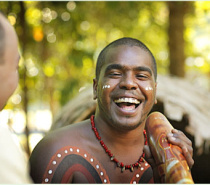 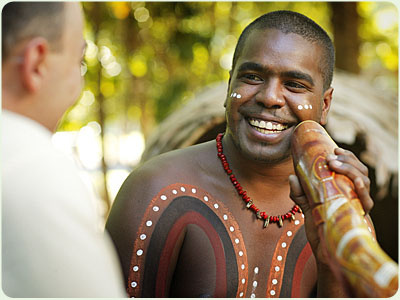 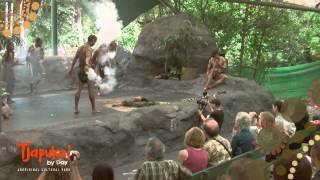 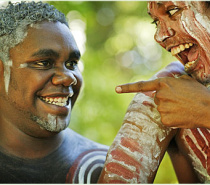 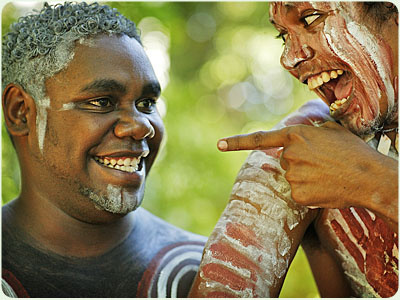 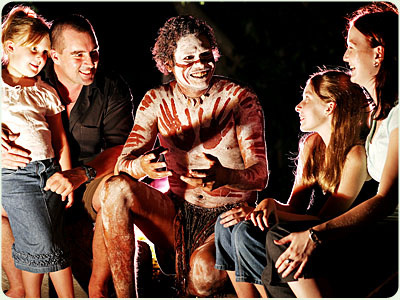 By day, the park is filled with interactive experiences to give you an authentic insight into Aboriginal culture. 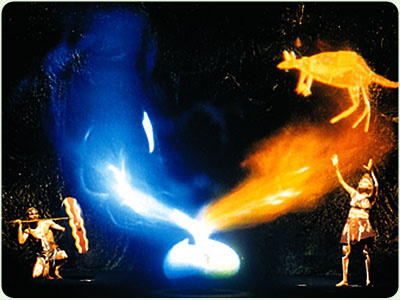 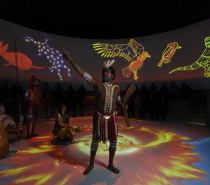 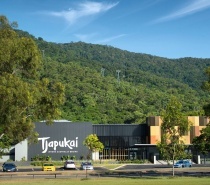 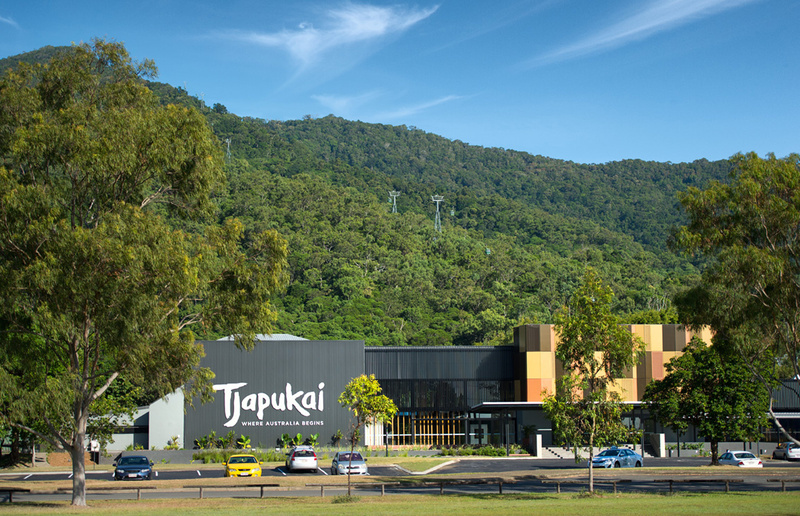 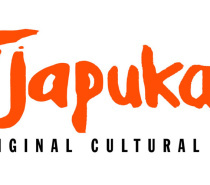 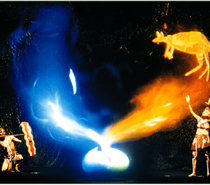 In the Cultural Centre, witness the ancient dreamtime story of the Tjapukai people's belief in the creation of the world through live performance and the world's most technologically advanced visual effects. 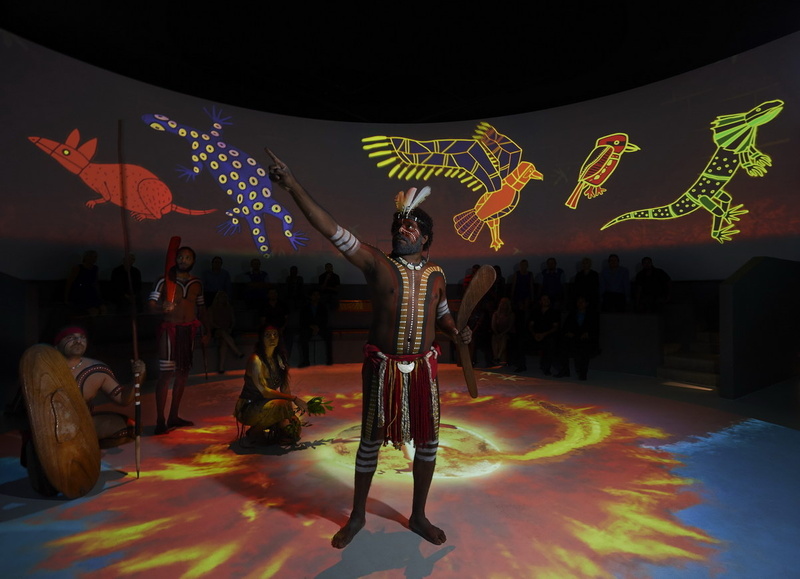 Gain an understanding into the impacts of the stolen generation and be inspired by Indigenous heroes past and present as you wander through the History and Heroes walk.The Art of My People talk will guide you through a variety of art styles as you learn about the differences between the Aboriginal clans throughout Australia. 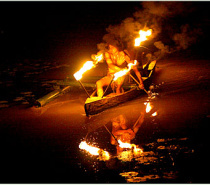 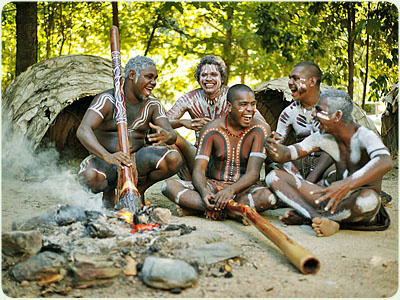 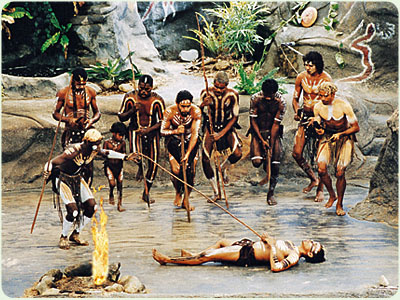 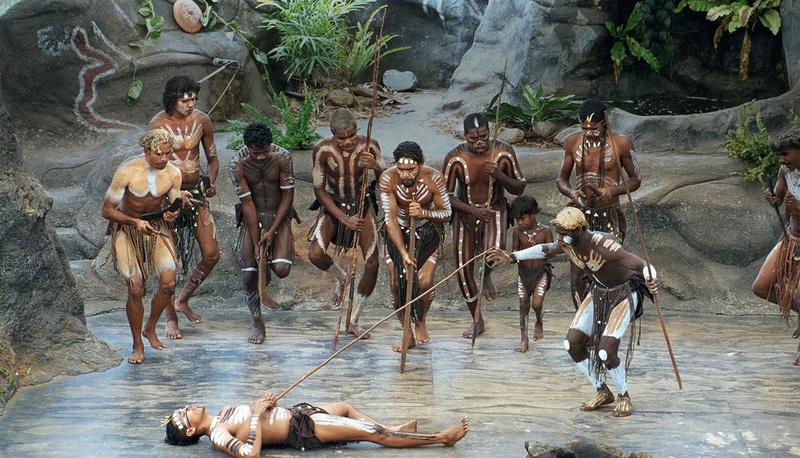 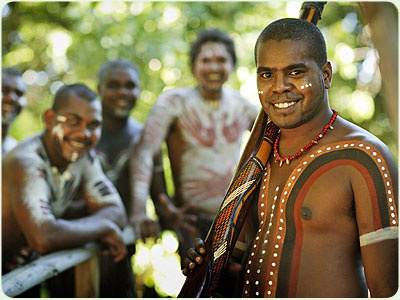 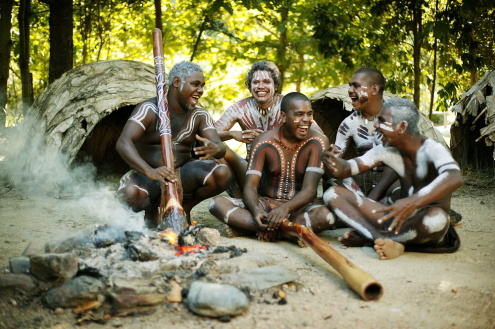 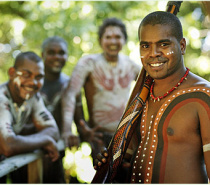 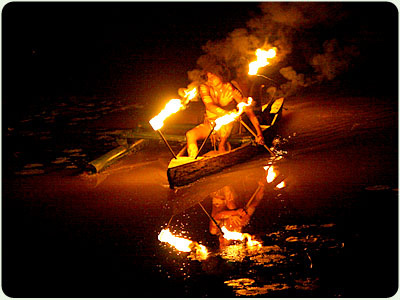 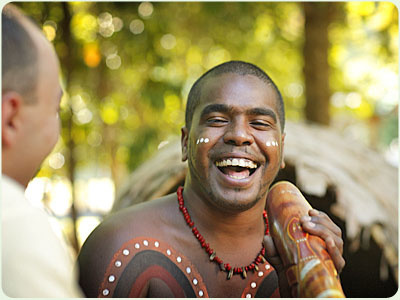 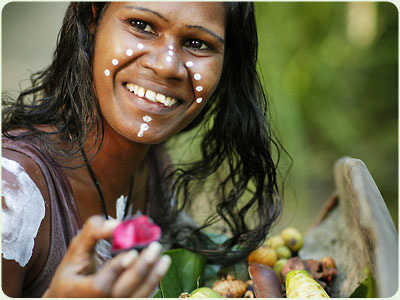 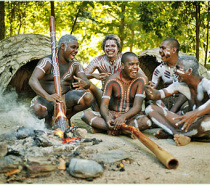 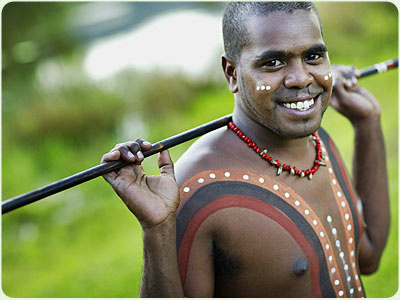 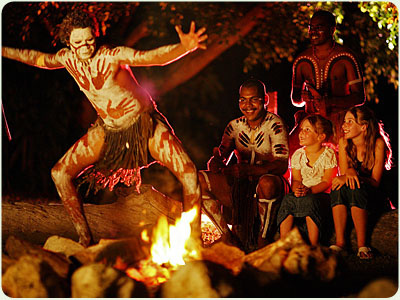 Across the lake, join the world famous Tjapukai Aboriginal dancers in a corroboree celebration and fire making ceremony in the Cultural Village.Gain an insight into the gathering and cooking of bush foods and the medicinal values of native plants, learn first hand from a warrior about traditional hunting methods and tribal law. 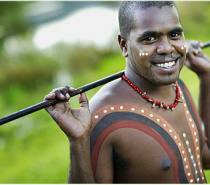 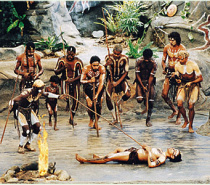 Throw a spear with the help of a traditional milay spear thrower and learn the art of throwing a returning boomerang. 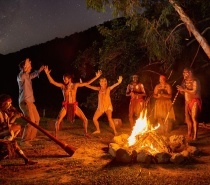 Journey through the complex techniques of playing a didgeridoo, then be tantalised by the smell of the meat being unearthed from the Bayngga underground oven and enjoy a delicious taste test. 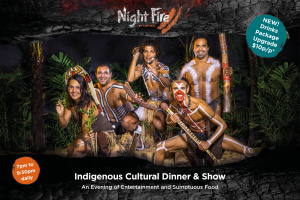 A sumptuous buffet lunch with native tastes and fresh salads is available in the Flame Tree restaurant, while being entertained by our vibrant Tjapukai performers. 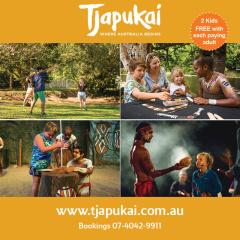 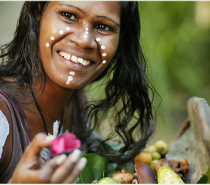 Enhance your day at Tjapukai with our talented artists and make your own souvenirs, creating natural rainforest style jewellery, intricate weaving and painting your own returning boomerang in traditional Aboriginal style. 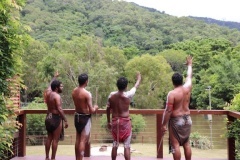 In addition, journey through the parklands with an Indigenous Guided Bush Food Walk learning about native plants and their culinary and medicinal significance. 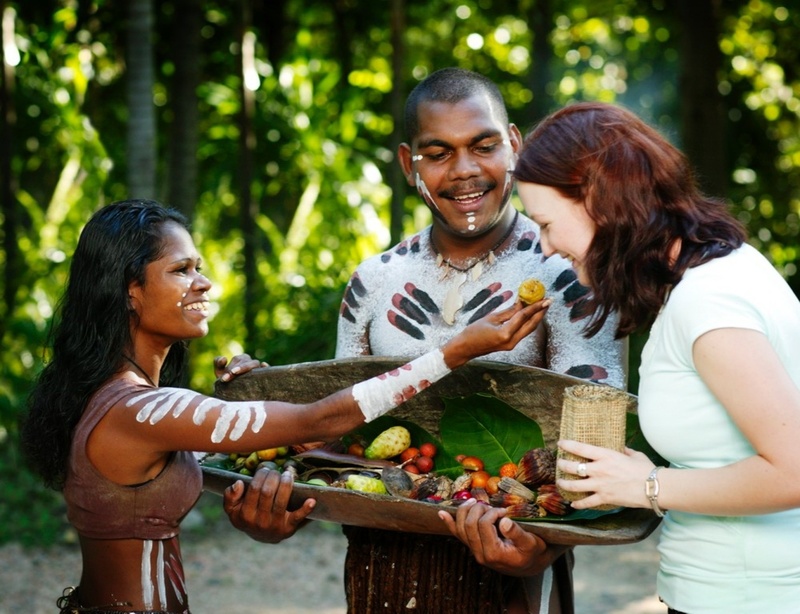 Finish with a taste of native fruit jams with damper and billy tea overlooking the lake. 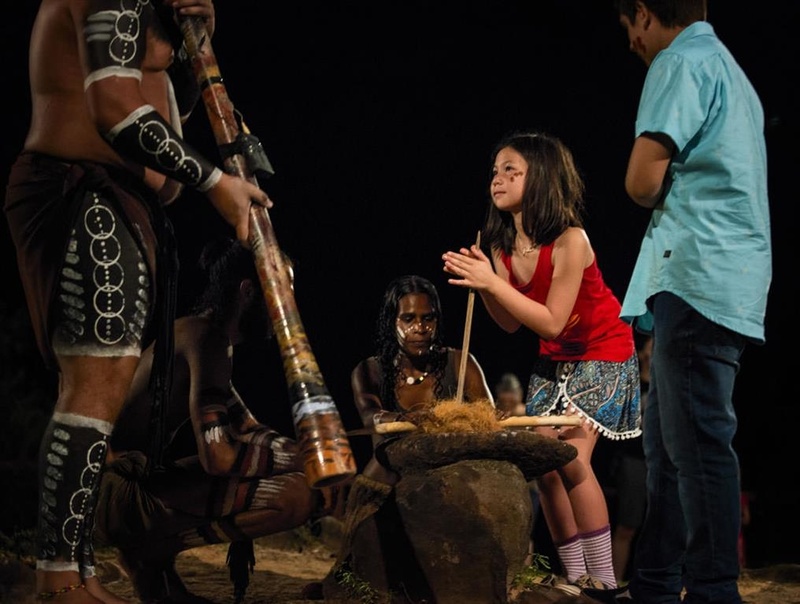 Our Indigenous performers bring the world’s oldest living culture to life through traditional cultural events, dance, art and interactive demonstration. 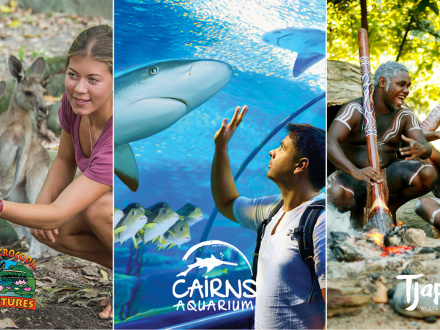 General admission includes: Creation Story Art of My People Tjapukai Aboriginal Dance Performance Bush Foods and Medicines Presentation Hunting and Weapons Demonstration Didgeridoo Show Boomerang and Spear Throwing BOOK NOW FOR 10% DISCOUNT: Adult	$55.80 Child	$37.80 Family	$149.40 The 09:15 and 13:00 Arrival Times are linked to Bus Pickups, however if you are making your own way to Tjapukai, feel free to arrive at anytime between 09:15 and 16:00. 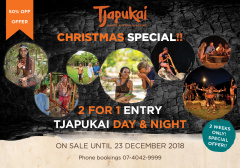 ANNUAL PASS: Unlimited day entry and a FREE Night Fire Tjapukai by Day Unlimited day entry for pass holder for 12 months from date of purchase 10% discount off accompanying guests 10% discount on Buffet Lunch and Café for pass holder & guests 10% off Cultural Creations and Bush Food Trail 10% off Retail Shop Night Fire By Tjapukai Pass holders with local ID get one FREE Tjapukai Night Fire each year Other Pass holders get 50% off Night Fire Accompanying Night Fire guests get 30% off 10% off Bar beverages for pass holder 10% off Retail Shop Adult $99, Child $65, Family $263, Concession $79.20 Locals take a further 10% OFF. 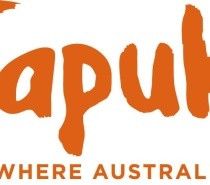 *Terms and conditions apply. 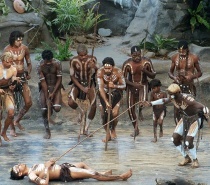 Children defined as 4-14 years old. 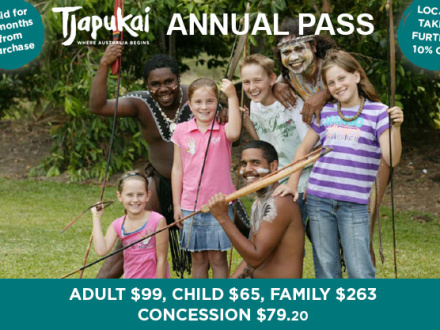 Local ID must be presented at time of purchase for locals discount. 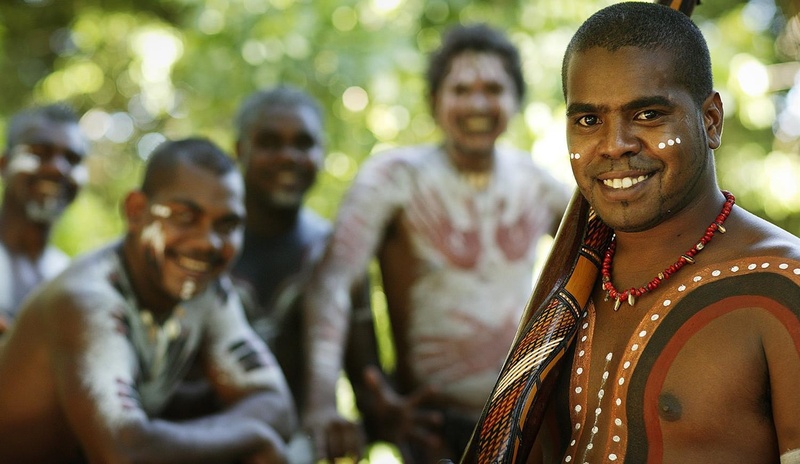 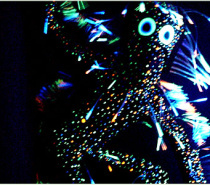 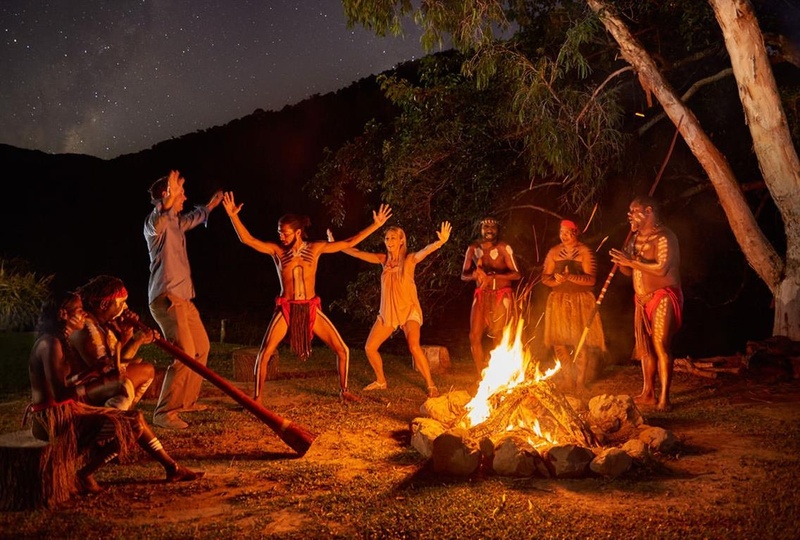 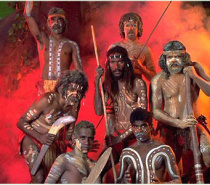 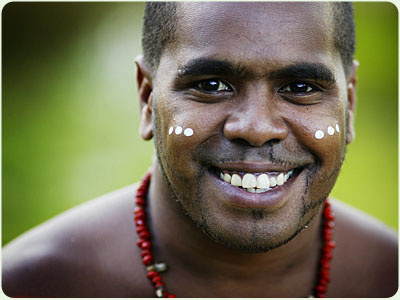 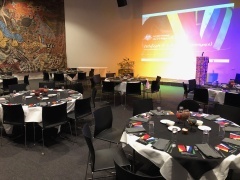 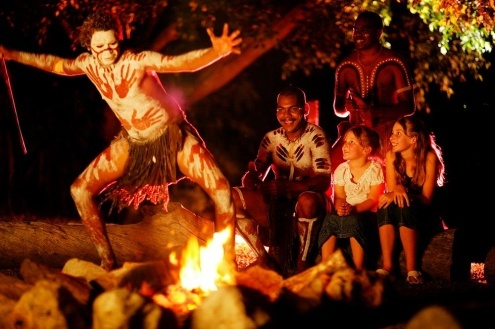 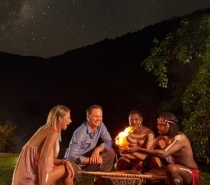 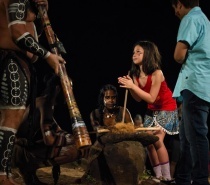 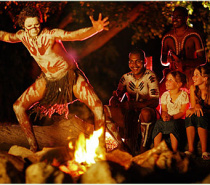 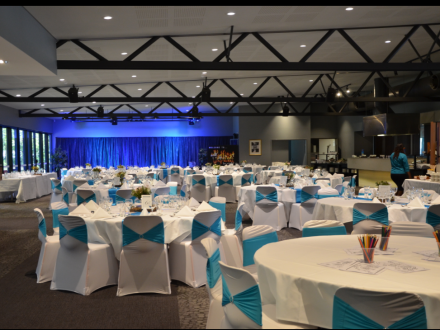 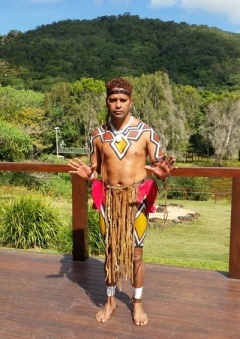 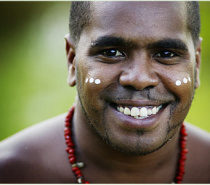 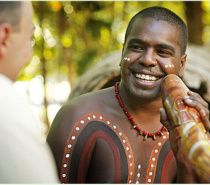 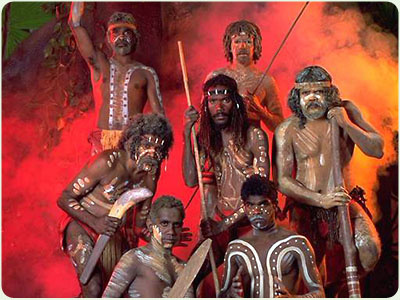 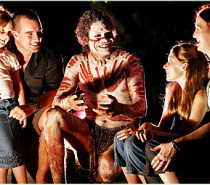 DISCOVER THE MAGIC OF AUSTRALIA’S INDIGENOUS CULTURE, BY NIGHT Settle in for a magical night of entertainment as you journey into a Dreamtime legend to discover the magic of Australia’s ancient Aboriginal culture. 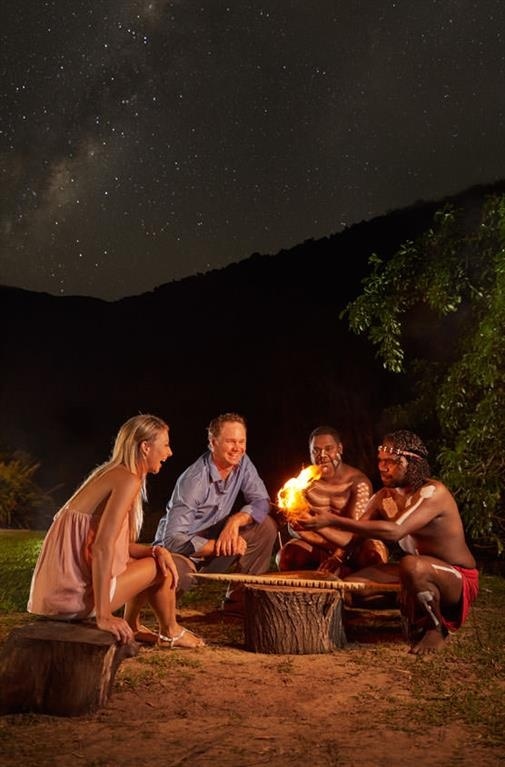 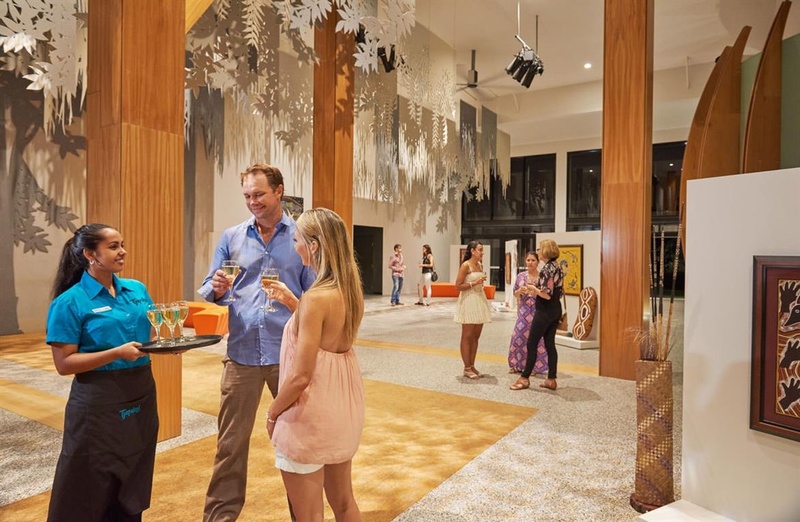 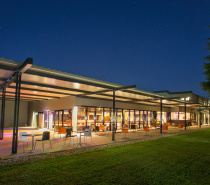 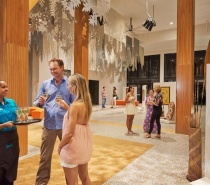 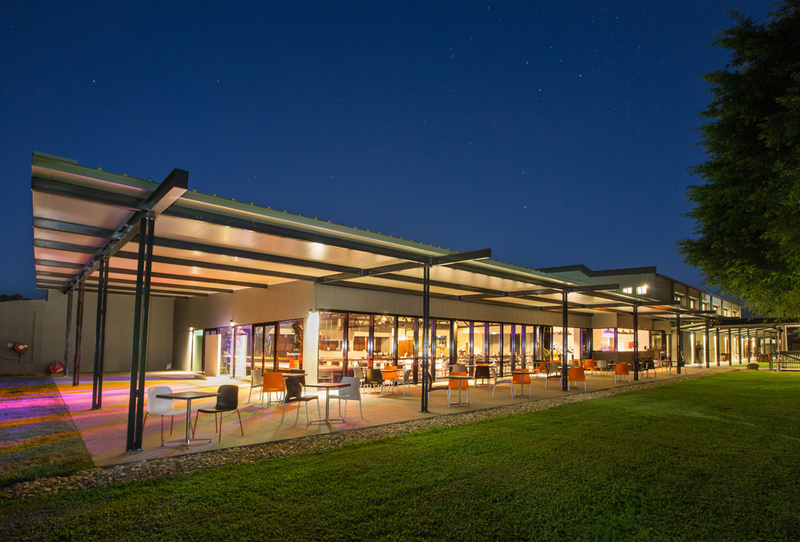 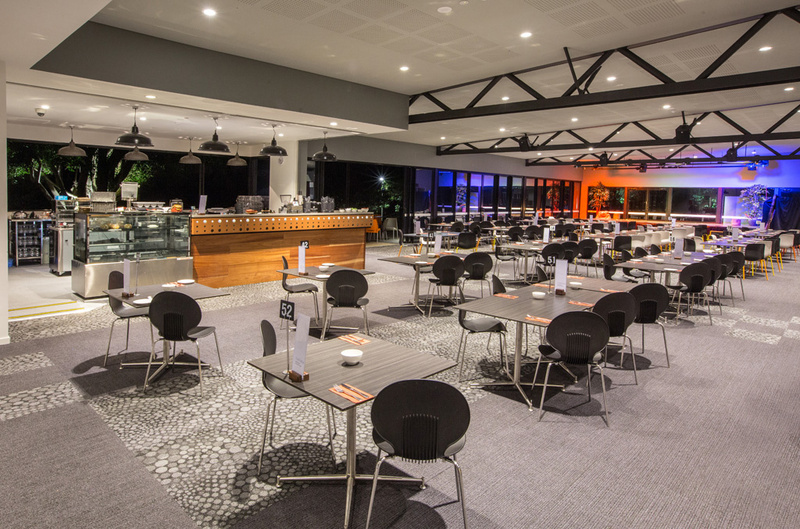 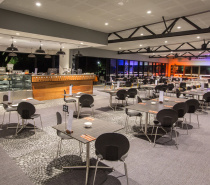 Enjoy a welcome drink on arrival before the performers lead a didgeridoo blessing ceremony followed by a spectacular fire performance and cultural dance celebration. 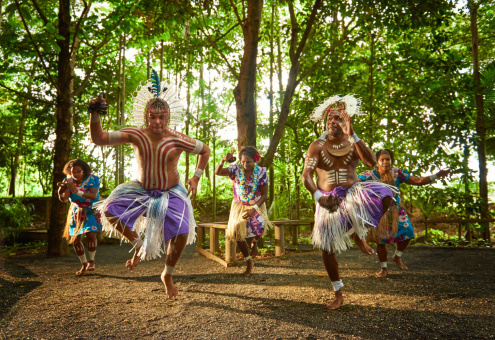 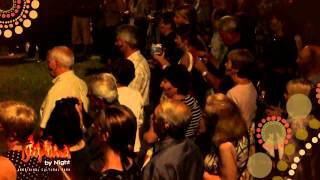 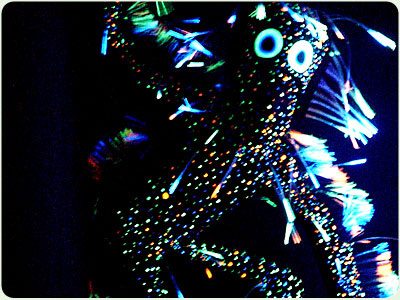 If you’re keen, you can even take to the stage to learn a traditional dance yourself! 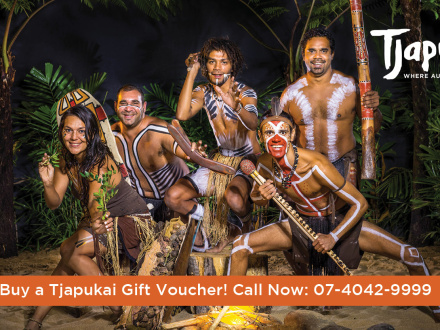 This evening of entertainment is complemented by a delicious dinner, photo opportunity with the Tjapukai warriors & even time to shop in the retail gallery full of authentic souvenirs. 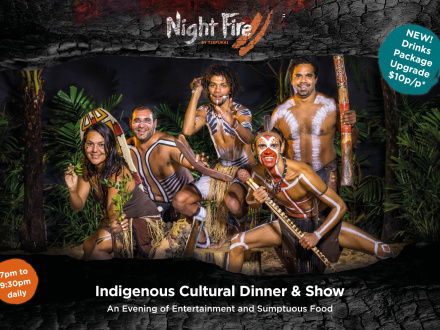 TIMETABLE & ITINERARY 7.00pm – Arrive, browse through art gallery 7.10pm – Native Spiced Canapes and Complimentary Bubbles and Juice 7.30pm – Face Painting, Cultural Welcome with Didgeridoo Journey 7.45pm – Tjapukai Aboriginal Dance Performance 8.00pm – Lakeside Firemaking Ceremony with Spectacular Fire Ball 8.15pm – Delicious Buffet Dinner 9.00pm – Meet the Performers by the Fireside 9.30pm – Photo Opportunity and Farewell Adult $123.00 Child $75.00 Family $321.00 Transfers can be arranged from any hotel in the Cairns City and Northern Beaches please contact our reservations team for pick up times and prices.